TEN-MAN Rangers earned their first Scottish Premiership win of the season in Steven Gerrard’s first league match at Ibrox Stadium. 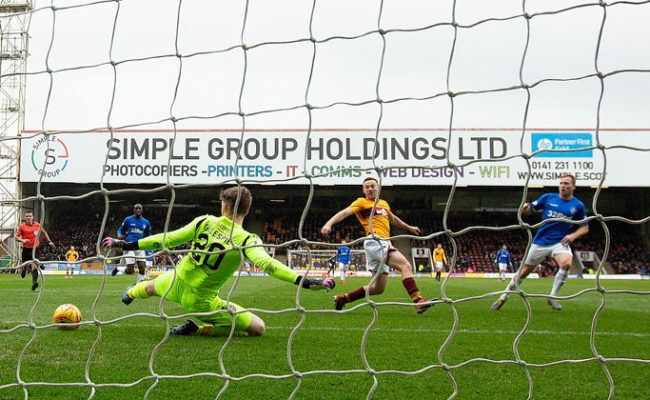 Leading through early goals from Alfredo Morelos and Connor Goldson, the Light Blues had Ross McCrorie sent off on the half-hour mark for a professional foul. But, they comfortably saw the game through to register a richly-deserved three points. 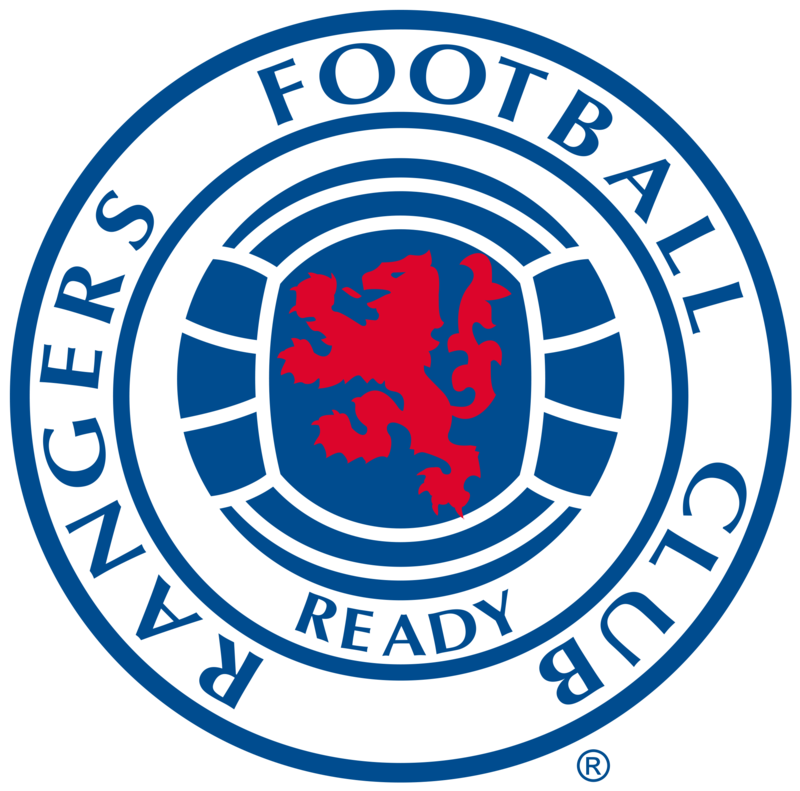 From the side which so impressively defeated NK Maribor 3-1 at Ibrox on Thursday night, out went captain James Tavernier, Scott Arfield and Daniel Candeias, with their places taken by debutant Borna Barisic, Ross McCrorie and Jamie Murphy. 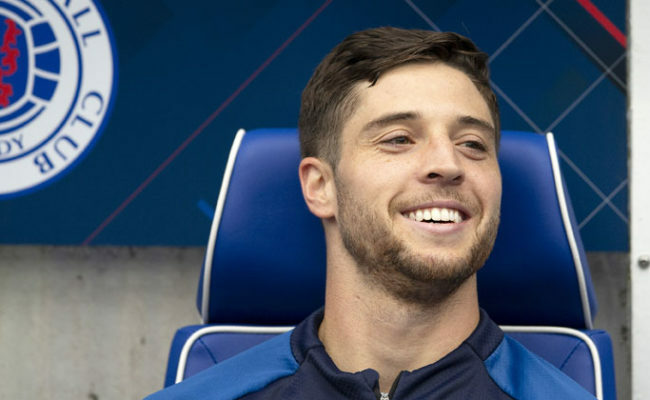 In front of a packed Ibrox and an outstanding tifo display organised by the Union Bears, the Light Blues began brightly, and could have been ahead inside three minutes with Alfredo Morelos hitting a shot wide on the turn after doing well to take a long forward pass from captain for the day Connor Goldson. Then, a sublime pass from Barisic put Morelos through. With closing Saints defenders around him, he picked out Ryan Kent to his right, with the on-loan Liverpool man shooting straight at Craig Samson in the visitors’ goal. If an early goal was going to come, it was surely going to go the way of Steven Gerrard’s side, and on 14 minutes it arrived through the lethal Alfredo Morelos for his third of the season. Pressing high up the park has become a real trademark of these early days of the Gerrard era, and Jamie Murphy caught Jack Baird dallying on the ball at the back for the Saints. He robbed him, and immediately played-in Morelos who remained calm to fire beyond Samson from a pretty tight angle. St Mirren’s plan to seemingly come and keep things tight was then sent into further disarray eight minutes later, with Connor Goldson heading in his first for the club from a wonderful free-kick delivery from Barisic. From way out on the far right, the Croatian sent a wonderful cross into the area, and Goldson made it his before powering a header into the back of the net. 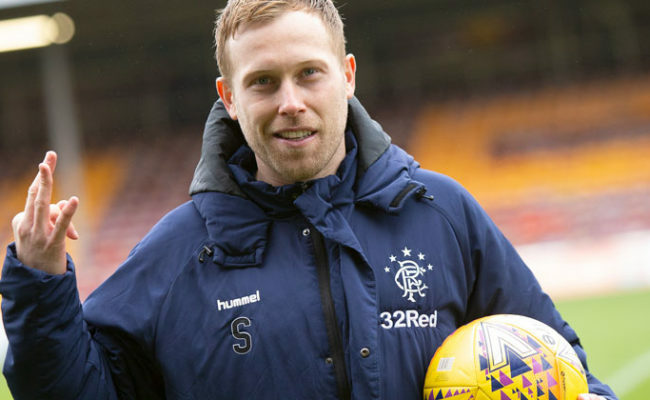 Rangers, from there, going on to rack up a hatful of goals seemed the obvious thing to assume given how they were playing, but on the half-hour mark, their aspirations of doing that were dealt a blow, with Ross McCrorie red-carded. In midfield, Jamie Murphy gave the ball away to Cammy Smith, and he threaded a ball through for Nicolai Brock-Madsen to run onto. As he reached the 18-yard line and was about to shoot, from behind, he was fouled by McCrorie, with referee Don Robertson not hesitating in showing him the red card. Being a man-up allowed St Mirren a little more possession than they had previously enjoyed, but it was Gers who created the next goalscoring opportunity, with Goldson heading a Kent corner off the inside of the far post as he came close to grabbing a second of the afternoon. On 42 minutes, Saints finally created a chance, with Danny Mullen cutting in from the left wing before striking the top of Allan McGregor’s crossbar. In injury-time at the end of the half, a fine ball from Murphy found Morelos alone up-front, and while he had two defenders next to him, he still managed to test Samson with a fine shot. The second half kicked-off with St Mirren again in control of possession, but again, McGregor remained untested, while at the other end, fine work from Kent, Murphy and Morelos ended with the Colombian gaining a slight angle for a shot from out wide, but he could only fire wide. Ovie Ejaria came close to his first Rangers goal, shooting straight at Samson after pressurising the Saints defence to win the ball back as the minutes ticked down, while sub Umar Sadiq tested Samson from distance in injury time. 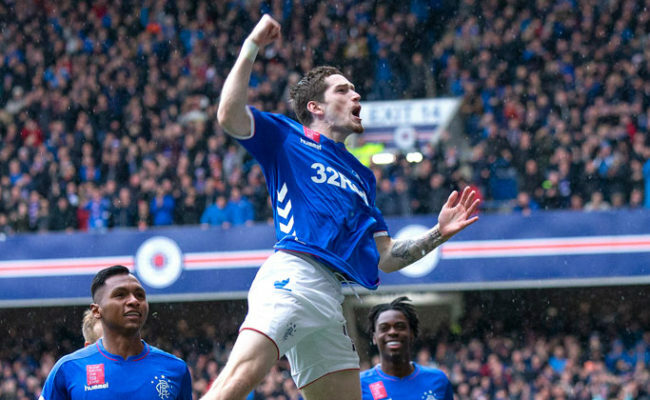 It’s now on to Slovenia on Thursday for Gers for the second-leg of their Europa League qualifier with Maribor. RANGERS: McGregor; Flanagan, Goldson, Katic, Barisic (Tavernier, 62); McCrorie, Ejaria, Coulibaly; Kent (Halliday, 69), Murphy, Morelos (Umar, 78). SUBS NOT USED: Foderingham, Candeias, Hodson, Middleton. ST MIRREN: Samson, P McGinn, Coulson, S McGinn, Magennis, Brock-Madsen (Flynn, 69), Smith, Baird, Mullen, Willock (McShane 75), Kpekawa. SUBS NOT USED: Rogers, Heaton, Cooke, King, MacPherson.